Connecticut’s sometimes complicated relationship with the rest of New England mustn’t end like this. Discover New England, which touts itself as the region’s official tourism group, recently banished all mentions of Connecticut from its website and replaced the state on its brightly colored map with a gaping Connecticut-shaped void. The purge followed Connecticut’s decision to cut its tourism marketing budget from $4.3 million to a symbolic $1, which meant it wouldn’t pay the annual $100,000 fee Discover New England charges states to promote a state’s attractions. Connecticut may not be a marquee travel destination — even if it is both the home of Pez dispensers and the birthplace of modern toothpaste — but tourism does bring in about $14 billion to the state each year. That cash flow, estimates the state’s tourism director, sustains around 170,000 jobs. So, the state’s budgeting decision may hurt Nutmeg State businesses that rely on the tourism industry. While Discover New England can’t be expected to promote those businesses aggressively if Connecticut isn’t kicking in, neither should the tourism group literally wipe them off the map. Even if some fans in southwestern Connecticut do root for New York teams, the definition of New England is quite well established. 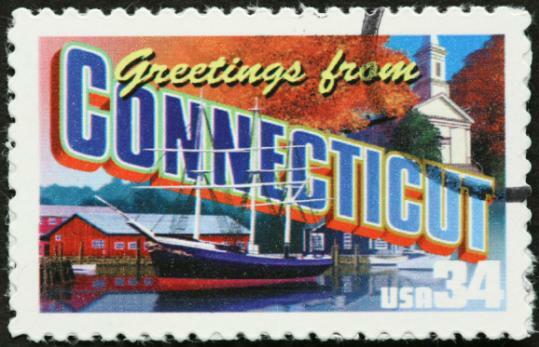 Connecticut shares a common culture, a similar history, and the same inclement weather as Massachusetts, Maine, New Hampshire, Rhode Island, and Vermont. For Discover New England, that’s apparently not enough reason even to acknowledge Connecticut’s existence. But being part of New England doesn’t come with a price tag.